Immigration continues to be a tense but important subject for policy makers and citizens alike, especially immigration over the Mexican American border. Border apprehensions are the lowest they’ve been in years. Twenty years ago, each Border Patrol agent was apprehending about 261 crossers. But in 2017, each agent apprehended only about 16. This is largely because those immigrants seeking to enter the United States are doing so legally. Seasonal-worker visas have increased, allowing workers to go back and forth across the border legally, depending on work availability. Immigrants can obtain jobs that may not be available where they live. Employers get dedicated, hard-working employees. State and national economies benefit from more production and more participation in the economy. Immigrant workers can return home to their families when their work is done. But these benefits don’t just apply to migrant workers in the United States. They apply to all legal immigrants. 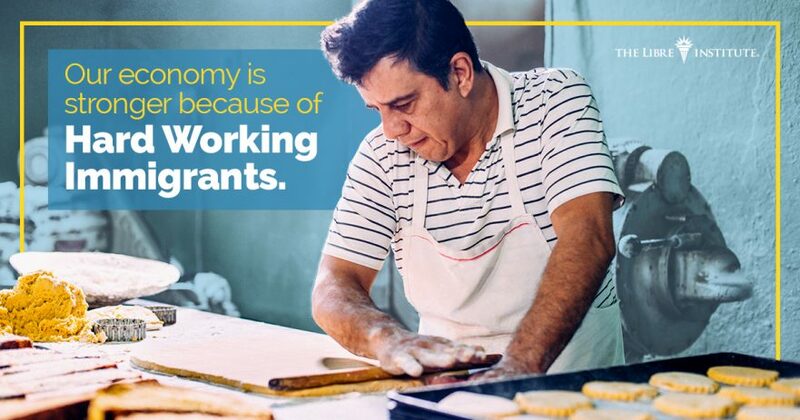 Immigrants from all over the world have contributed to the history and the strength of our nation especially those from Latin America Immigrants bring with them talent, determination, hard work and gratitude for the possibility of achieving the American Dream. They benefit our society on all fronts, from the workforce to classrooms to military service and civic engagement. The freedom and opportunity to work hard for a chance to prosper, will continue to incentivize individuals to sacrifice much to enter the United States. The best route for policymakers is keep paths to the United States open so those who want to take part in the American Dream can do so legally and continue contributing to the greatness of our country.